So when I first heard about dry shampoo, I knew I needed to have it! Unless you really have to, they say its not good to wash your hair everyday. Matt thinks this is weird, but I am perfectly okay with it. When I lived in Houston I couldn't go that long without washing my hair because of the humidty but that's not really a problem. But if you're like me and you don't like to wash it everyday, enter dry shampoo..its amazing for so many different reasons. It not only gets rid of the oily dirty hair look, it really helps with adding volume to your hair, so I even use it sometimes when I don't even have to, just to add volume. Idk why the heck I just now saw this! I have been experimenting with so many different ones but i don't think i have tried any of these! Bedhead is still my favorite but I want to try all of these! i discovered dry shampoo after having my kid. showers? what are those? I use Suave, haven't tried any others. After reading this, well now I think I might. Thanks. Thanks so much for this post! 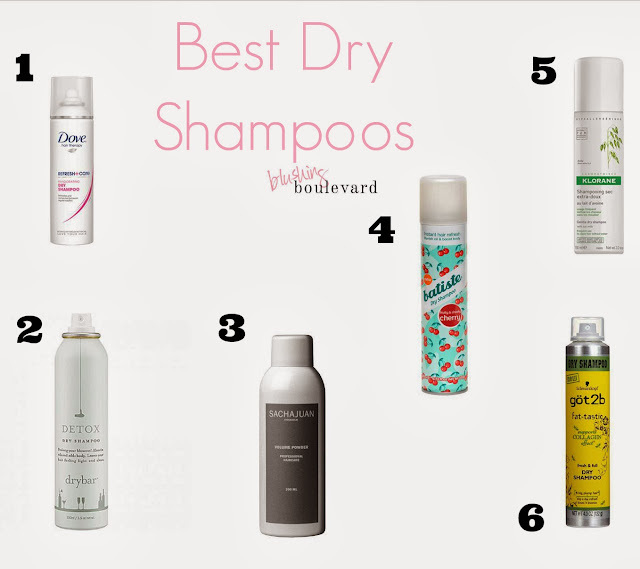 I use Batiste and Suave for dry shampoo but I'm always on the lookout for other options.